But in this world, under these trees, I sat down and cried. Softly, as if I might waken the woods. I pulled my knees to my face and sobbed, louder this time, not caring who heard. When my eyes were spent, I lifted my head from my legs. The wet I left behind was a blob on my bony knee. I let my mind play the cloud game and tried to make a shape. Something that would cheer me up, replace my sea story. Something that would tell me to get on my feet, to keep moving. All I could think of, though, was the shape the chalk kid had drawn what seemed long ago. 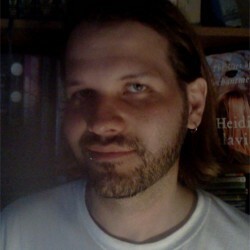 Before I learned the secrets of the Stranger. Before the kid and mom's apartment was robbed. Before Sandy and Rick, my dad, my mom, and everything else. As I type this passage, I notice and question a couple details. Would this child use an astute phrase such as “waken the woods”? Maybe not, but it could easily be the kind of phrase that only a poet or a child could come up with. The other is “my eyes were spent.” This is a little harder for me to grasp. The overwhelming majority of eight year olds would not use “spent” to illustrate the end of weeping and it is my believe that the narrator of Hurt People would fall into the majority. And it's little things like this that pull me out of the otherwise flawlessly told paragraph. Still, there's so much in this paragraph alone that I love. “The wet I left behind was a blob on my bony knee.” The wet, a blob... This is such a great sentence and totally believable. Then immediately, from a child who is sobbing uncontrollably, we get “I let my mind play the cloud game and tried to make a shape.” It's not unlike people to quickly let their logical mind take hold of a terrible situation and begin to make shapes out of nothing. It's even more indicative of a child. This detail is perfect and this story is filled with them. The adults. Now we're seeing everything through a child's lens, so that may play a role here. Even so, the actions of the adults seem grossly absurd. Honestly, these are the single worst parents I've ever read about who were not on trial or condemned for their poor parenting. These are parents who constantly put their children in danger and do not think twice about it. And they're incredibly dumb to boot. The list of offenses is far too long, but a few that come to mind include good old policeman dad abandoning the boys at night to go to the bar and responding to an emergency call of a prowler, leaving the kids in his cruiser while he investigates. Mom leaves the children completely unattended every day, lets her son run into an apartment building that could collapse at any moment, and is dating a man who verbally and physically abuses the children in front of her. It's not just the parents who lack believability. Everything about the town seems exaggerated. The promise of a tornado sends this Kansas town into a frenzy. I've lived in Kansas all my life and I promise you, most people treat such storms as either routine or as an event to be viewed with awe, what I call "the double rainbow effect." Leavenworth itself is treated as a Podunk town, but no one ever acknowledges that it is a part of the Kansas City metropolitan area. Sure, it's on the very edge and at the time this novel is based there would've been a good fifteen miles separating it from the nearest place of interest, but you'd think these people had never seen a skyscraper or been anywhere with a crowd. I promise you most of Leavenworth probably makes a semi-regular journey to KC. Yet, it's as though the author wanted to convince you they were a thousand miles from civilization. And this is where I want to go back to the perspective of a child. Overall, Hurt People seems lazy and sloppy. Exaggerations and characterizations are on every other page. Frankly, the story of a prison escapee and the appearance of the new friend, Chris, make no sense. It was enough to annoy and anger me as a reader. Half way through this story all the way through the end I was irritated by the absurdity. I finished the novel and slapped a generous three-star rating on it and wondered how I could approach this review. A little distance has convinced me that maybe—and I'm not entirely sold on this possibility—Smith's debut is better than I initially thought. I still think there are mistakes in perspective and that the story could've been tighter and more logical while in the mind of an eight-year old narrator, but I have to give Smith the benefit of the doubt: how would an eight year old tell this story? Would his childhood fear during a tornado merge onto the faces of other residents? Would his lack of life experience topped by a prison escape cause him to feel isolated? Would he paint his parents as perfect even though they frankly should have lost custody of him? Did the rest of Leavenworth even know about his parents' poor choices or did they turn a blind eye to everything because the boys' father was a police officer? There's more to this story beneath the telling of this child and it's only by looking through the cracks that one cannot help but notice that a reader may begin to see the true story. 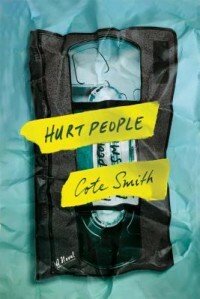 Hurt People is not a perfect book and it was certainly a difficult read in more than one way, but I'm beginning to see that some of the complaints leveled at the novel are probably the result of not getting into the mind of an eight year old narrator. Smith missed the marked himself occasionally, but I think he did much better than most of us could have and that is why most of us are missing the parts of this novel done right. I'm bumping this one up to four stars and am eager to see what perspective the author takes in his next novel.